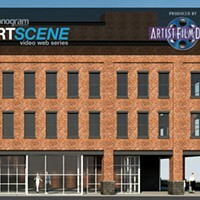 Each month, filmmaker Stephen Blauweiss produces "ArtScene," a monthly video web series with short segments on artists, galleries, and museums in the Hudson Valley. Here, Stephen gives an outline of this month's film. 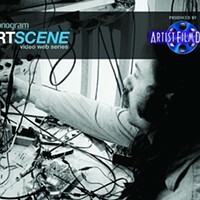 Check out the film and others from the ArtScene series at Chronogram.com/TV. This month's film features artist Grey Ivor Morris. 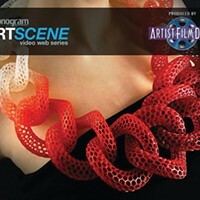 Morris works in a vast variety of media, from traditional to digital, but I have focused on his recent mosaic pieces and colored pencil portraits in this film. Creativity runs in the Morris family. "I come from a very artistic family; everyone was always working on a project somewhere in the house. Creativity is an essential part of being human; a lot of people lose that ability when they 'grow up.' I think it's a mistake to do that," Morris says. After spending several years almost exclusively creating his art digitally, he made the decision to revisit more traditional art forms, like drawing and painting. He refers to it as "returning to analog." Now he prefers to jump back and forth, doing design work for hire on the computer and regularly working on his mosaic tile pieces and portrait illustrations. "You're creating a picture," Morris says, "but out of small pieces; it's like putting together a puzzle. I find it meditative." 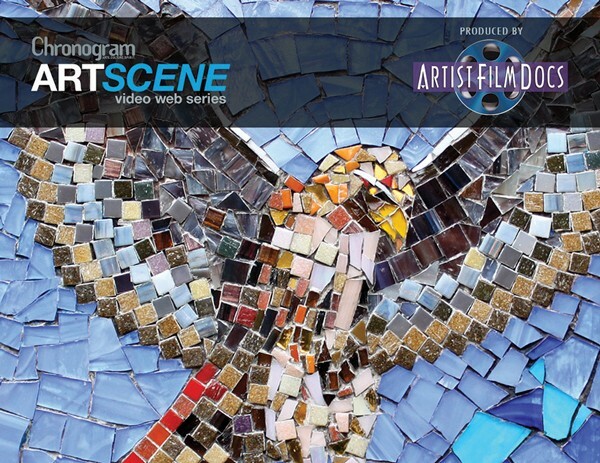 Morris sees mosaic fragments as real-world pixels, and finds a digital connection in this ancient art form. "Even though mosaics seem detailed, the first step in creating them is to simplify the image—distill it down to convey the essence." In contrast to the mosaics, Morris's drawings can be extremely detailed. With the drawings, the closer you look, the more there is to discover. "l love drawing old people, which is kind of funny in our youth-driven culture. I feel history is written in their faces. I also find old people are much easier to draw because they have a lot of landmarks in their faces," Morris says with a laugh. With his commissioned art as well as his computer design work, he often comes up with visual solutions in ways that he might never have considered while brainstorming alone. "Making art with, or for, someone else is a great way to stretch yourself as an artist or creative person. Faced with a problem that needs a solution, you push into more new areas and new perspectives than you are used to," Morris says. "No matter what I work on," Morris says, "I like to think of myself as an intuitive artist. There is an interesting dichotomy in the creation of art. Art is often a solitary activity during creation, but when completed, the sharing and enjoyment of it is communal. I think it's one great way to relate and interact with others." Portfolio: Greyivor.com.